Using hospital admissions statistics, Headway UK has compiled the first dataset on all ABI-related hospital admissions in the UK. These include non-superficial head injuries, strokes, brain tumours, encephalitis, and a variety of additional conditions. 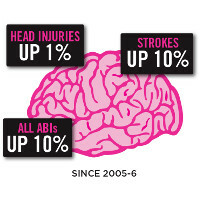 This is the first time a picture of incidence rates for all ABI in the UK has been published, with the figures highlighting a concerning growth in the number of people sustaining injuries to the brain each year. There were 348,453 UK admissions to hospital with acquired brain injury in 2016-17. That is 531 admissions per 100,000 of the population. There were approximately 954 ABI admissions per day to UK hospitals in 2016-17 – or one every 90 seconds. Men are 1.5 times more likely than women to be admitted for head injury. However, female head injury admissions have risen 23% since 2005-6. Please note Headway UK and Headway Preston and Chorley are separate charities. The annual Sapphire Ball corporate fundraiser was a huge success again this year with £7382.00 raised for Headway Preston and Chorley. Supported by local businesses and sponsors the ball has been held for the last 3 years at Marriott Hotel Preston. Guests of Honour included the Mayor of Preston Councillor, Trevor Hart and his Mayoress Laura King and Headway Preston patron, Mr Graham Alexander. Headline sponsors included JMW and Fletchers Solicitors. The event was also sponsored by Active Case Management,Glenn Slater Construction, TRU Rehabilitation, Nestor, Frenkel Topping and DMA Associates. Numerous other businesses donated prizes for the auction and raffle including Dewhurst Homes who donated an executive box at PNE. 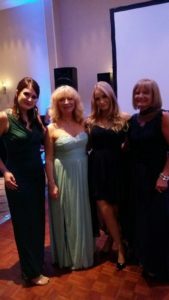 Organiser Liz Bamber, Manager of Headway Preston and Chorley said, ‘we are very grateful to everyone who supported the Sapphire Ball this year. 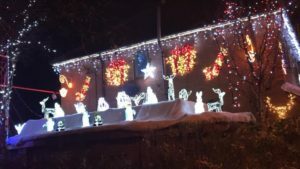 It is one of our biggest fundraisers of the year and keeps our front line services in operation for people with acquired brain injury and their families’. We never pass your information to any third party or disclose any of your information without your consent. To all our members, supporters, sponsors and volunteers we wish you a happy and healthy New Year and we look forward to supporting you and working with you over the next 12 months. 2017 has seen a rise in referrals to Headway Preston and Chorley which has meant more work but we have risen to the challenge. The charity has grown further supporting over 400 families affected by acquired brain injury and helping them to deal with the practical issues that arise after serious injury. We have also seen the best fundraising income since we started in 2010 thanks to our sponsors and individual donors and we could not continue without their support. 2018 will begin with some new and exciting partnership working which will be good for the charity and extend our services so we are better equipped to support newly injured adults throughout 2018 and beyond. 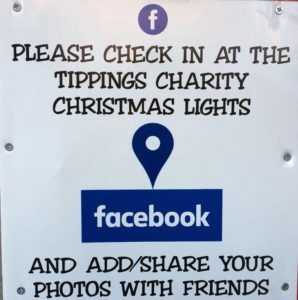 The Tippings family are supporting the following charities this year for their Christmas Lights Extravaganza Fundraiser and Headway Preston and Chorley is proud to be named as one of the beneficiaries.If you would like to support Mark and Nicola in their extraordinary fundraising efforts, come along to number 1 Valentines Meadow Cottam PR4 0LF and DONATE!. Its is actually magical! Fletchers Solicitors has been supporting Headway Preston and Chorley for the past five years through their annual Golf Day event held at Hesketh Golf club in Southport. All staff at Fletchers have the opportunity to undertake charity work in their community and are regulars at helping Headway by donating their own time and expertise to our charity. 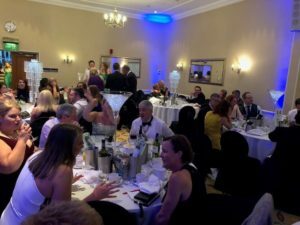 Last year the company, who have just been voted among one of the top 100 companies to work for by the Sunday Times, raised £7000 through the golf day but have topped that this year by raising a massive £11,200!! Liz Bamber Charity Manager said, “Fletchers staff, from management to apprentices, totally took over the organisation and management of golf day 2016, which was fantastic. 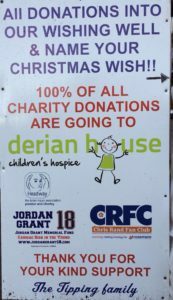 We cannot quite believe the amount of money they have raised for us and we can only thank them all immensely for their hard work and dedication and we look forward to next years event! ​ Headway Preston & Chorley is a Charitable Company Limited by Guarantee.